About Lubrita and KRZNARIĆ d.o.o. Year after year, the business grew and expanded so the small 80 square meter family house which had been rearranged and adapted to a business space for selling auto parts, had become too small. For that reason, the construction of a new business facility of 400 square meters on two floors had begun in 2007 at the same location. With the completion of the new business facility, the time had come to unite the TAHO-LAB d.o.o. firm and KWIM-PROMET family trade, as well as the businesses they conducted into a recognizable firm name. And so, in 2007 the firm KRZNARIĆ d.o.o. was established as a successor of the two previously mentioned business subjects. On 31st December 2007 the new business facility was officially opened by the former county vice prefect of the Virovitičko-podravska county and the godfather of the new business facility, Mr. Zvonimir Koić. The KRZNARIĆ d.o.o. firm began its business on 1st January 2008. In 2014 KRZNARIĆ d.o.o. 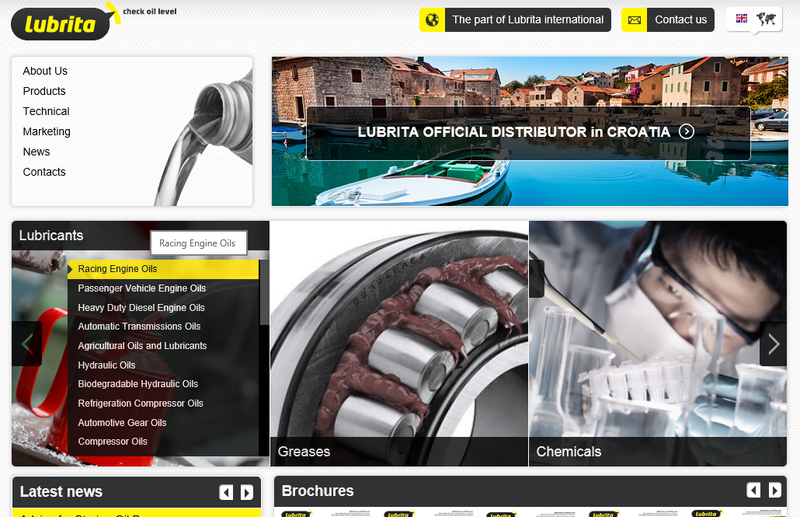 become official Lubrita lubricants distributor in Croatia. Congratulations and Wellcome to Lubrita International Team!